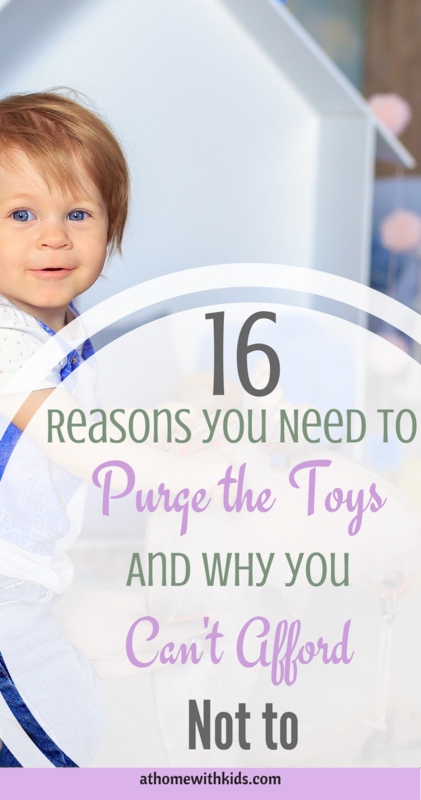 Purging the toys and simplifying your child’s play space can have a big impact on their behavior and life. Why you need to minimize the toys. When my husband and I had our first child, we lived in a 350 square foot home and had one small chest for toys. We naively thought we would always just have this one toy box and switch out the toys to suit our child’s age and interest. We now have three children and an entire room dedicated to be our “playroom”. Partly because we enjoy not having toys in our main living space and partly because we have allowed the toy collection to grow astronomically. In every other areas, we have a good handle on keeping things simple. We work hard to keep out clutter and enjoy our space, but the toys have been a sneaky clutter nightmare. Our son loves Legos and always has. So, for every single birthday and Christmas he has received Legos as a gift. Add that to garage sales, little purchases here and there, and him starting to spend his own money, and we now have more Legos than we do food in our house. Ugh! At first I saw this as a good thing. Instead of buying him an abundance of different toys we would just add on to his collection. Plus, if he is going to be playing with toys, Legos have a lot of benefits. I have only just started seeing the problem with this mindset. I notice when we go to someone’s house and they have a small tub of Legos to play with, my son is extremely innovative and creative. Way more so than he is with the thousands of Legos he has in his collection. There are just too many. He cannot focus on one project. To some degree, my husband and I are really good at “trying” to tame the toys. We only give each child one gift for birthdays and Christmas and ask the grandparents to do the same. Even with this method of gift giving we have spoiled our children with playthings and we are starting to see the consequences. Are you in the same boat? Do you look around and wonder how these toys have taken over your house and how this is affecting your children? Scientists actually say that this can be detrimental to a child’s development. Having too much clutter can have a lasting negative impact on their psyche. So let’s change that! Here are 16 benefits of having fewer toys for your kids. 1. 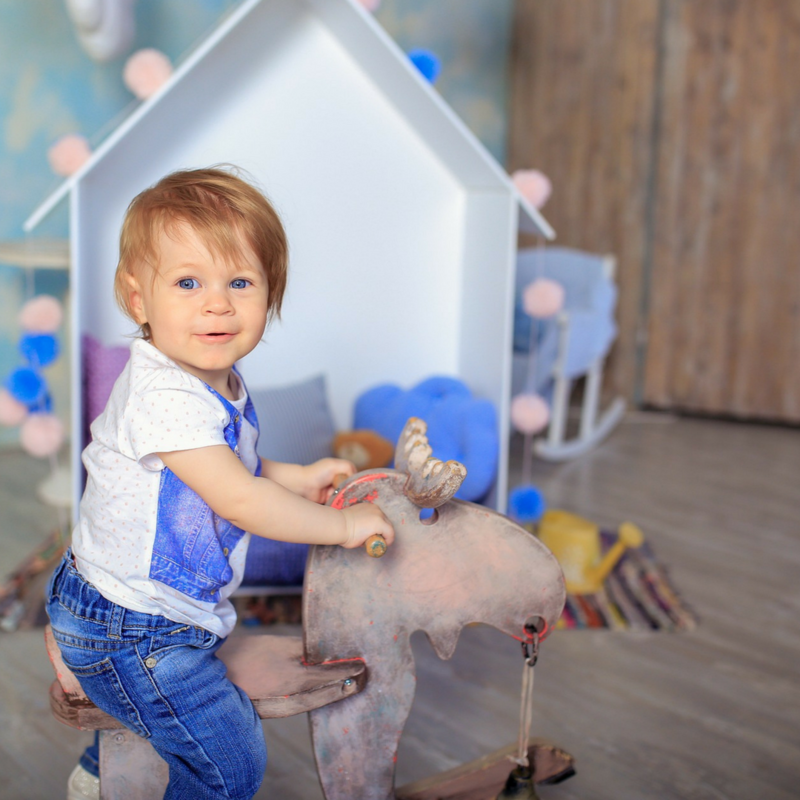 Your child will learn patience– without having numerous tours to fall back on, there will often be times where one child is waiting to use a toy. 2. Your child will persevere- your child is more likely to persevere when a toy is complicated to use because they do not have as many options just to give up and move onto something else. 3. Your child’s ability to focus on a single task will increase– without all the clutter, kids can stay focused on one thing for much longer. 4. Your child will learn to take care of possessions– having fewer possessions will lead to taking pride in each one rather than viewing them as plentiful and disposable. 5. Your child will learn to be thankful for what he/she has– it is easy to take for granted items that we accumulate quickly or have an abundance of, but we learn to appreciate possessions more when we have less. 6. Your child will learn the value of possessions– if a toy breaks, but there are 50 other things to play with, the value of that toy is very low. However, if a toy breaks and there are only a couple other toys, the value has increased greatly. 7. Your child will be more creative– coming up with new ways to play will spark your child’s creativity. 8. Your child will have more time to problem solve– it can be easy to give up or move on when the options are endless and the distractions are great. When your child is able to focus on one thing and doesn’t have anything else to run to, he/she will stick out a problem much longer. 9. Your child will be more active– less toys means more time outside and more physical activity in general. 10. Your child will learn how to be bored– it is okay to let your kids be bored. In fact it is healthy and a life skill they should have. So often we keep our kids so busy that they never learn what to do when they have nothing to do. 11. Your child will spend more time learning– without so many toys, your child will have more time to read, write, play board games with the family, do art, and develop new skills. 12. Your child will become more resourceful– you will be amazed with what your child begins to create and make. Toilet paper rolls become binoculars, blankets become capes, sheets become forts, and miscellaneous items become obstacle courses. 13. Your child will develop better social skills– with fewer toys to play with your children will begin to interact more with each other and you. 14. Your home will be tidier and more enjoyable– less stuff, equals less chaos, equals a simpler and happier life. 15. Your child will have less distractions– your child will no longer bounce from one thing to the next to the next. 16. Your child will get outside more– if there isn’t as much to do inside, your child will learn to love being outside. 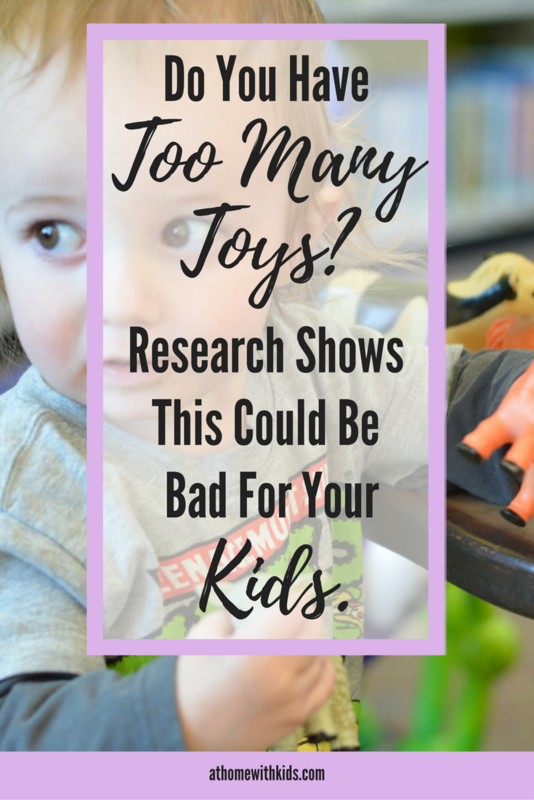 Do your kids have toys they no longer play with or could do without? Take some time to decide what is best for your family.